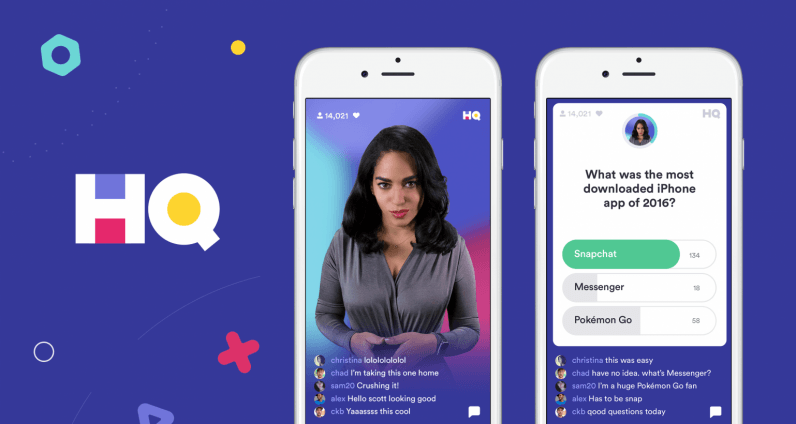 If you’re reading this site, you’ve probably heard of HQ Trivia, the live mobile gameshow where you answer questions to win real money. The HQ team is now looking to branch out with its latest project: HQ Words. As first reported by Digiday, it’s basically an HQ-ified Wheel of Fortune. That means you get a blank grid of potential letters, along with a clue as to what lies hidden beneath. You’ll see a selection of letters to choose from and earn points for each correct guess. Three strikes and you’re out. If you’re wondering how HQ can survive giving out so much money every day, you might be surprised to know that the team is actually making money. According to Digiday, HQ has made $10 million in revenue since it started doing sponsored games in March, though it also makes money from commercials. My favorite part of working here is your imagination runs wild when you look at what we’re doing and you apply that to any idea. The sky is the limit, but the challenge is how do we build them. As a personal anecdote, HQ Trivia has been one of very few new apps that has managed to stay on my phone for more than a couple of weeks. Though its popularity has decreased somewhat since it’s heyday earlier in the year, I appreciate that it’s one of the few opportunities for live, collective engagement on a smartphone. In an age of on-demand streaming, it’s nice to have a show to look forward to playing with my girlfriend or friends every night. Here’s hoping HQ words is as enjoyable; maybe I’ll actually be able to win some money off of that one. If you’d also like a change of pace from the usual quizzing, you’ll be able to play HQ Words sometime in October.